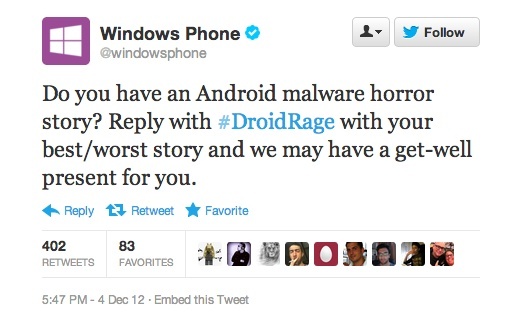 Yesterday afternoon, the official Windows Phone Twitter account Tweeted the message we have included above. They asked for “Android malware horror” stories of yours, in an attempt to highlight one of the fake overblown problems that security companies and the media invented for Android. If your story was the best/worst (whatever that means), then they may have a “get-well present” for you. 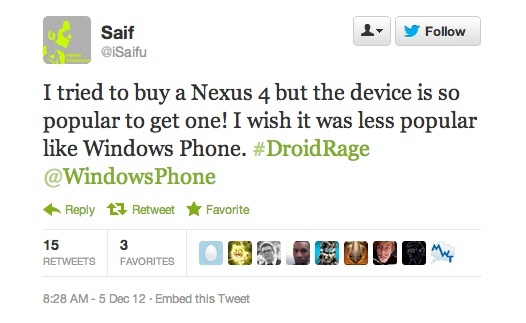 We’re assuming that means a free Windows Phone. 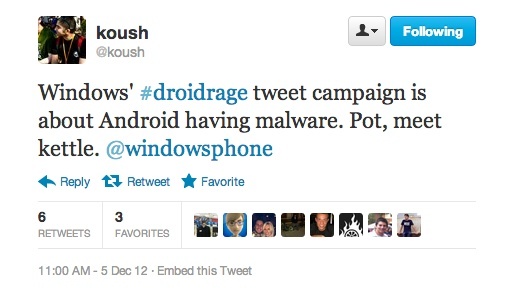 Unfortunately, for Microsoft, the campaign hasn’t exactly gone as planned. 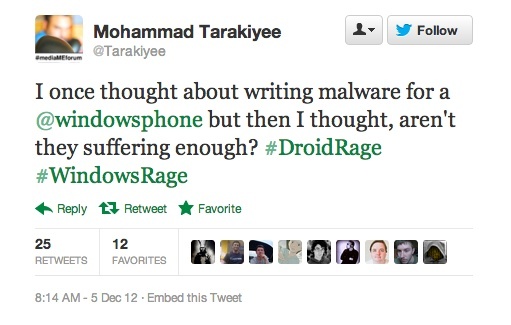 They are certainly generating buzz with it, but almost none of it is positive for Windows Phone. 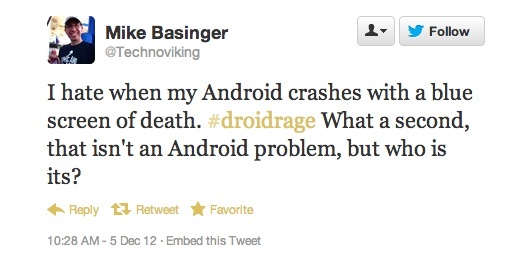 Here are a few of our favorite Tweets from users who had some fun with this #DroidRage hashtag. You can view the constant stream of gems right here.